Package Holidays. Group leisure holidays. Holiday deals. Price based on two people sharing, includes hand luggage & return flights from Bristol (other departure airports are available with a small supplement). Price based on two people sharing, includes hand luggage & return flights from Gatwick (other departure airports are available with a small supplement). We are delighted to be able to offer our customers the opportunity to see the very latest promotions and special offer deals for overseas package holidays. Although these do not include organised bridge they do include return flights and offer exceptional value for money. We aim to update this page daily with special offers and promotions with our partner hotels all around the globe, so you can now book your family holiday, city breaks or long haul special holiday trips with us. We are a trusted and successful travel agent and tour operator and happy to help you organise your non bridge travel, holidays or group trips and events. For further information and or assistance without obligation please call us on the number above and ask for Hannah or Lindsey. 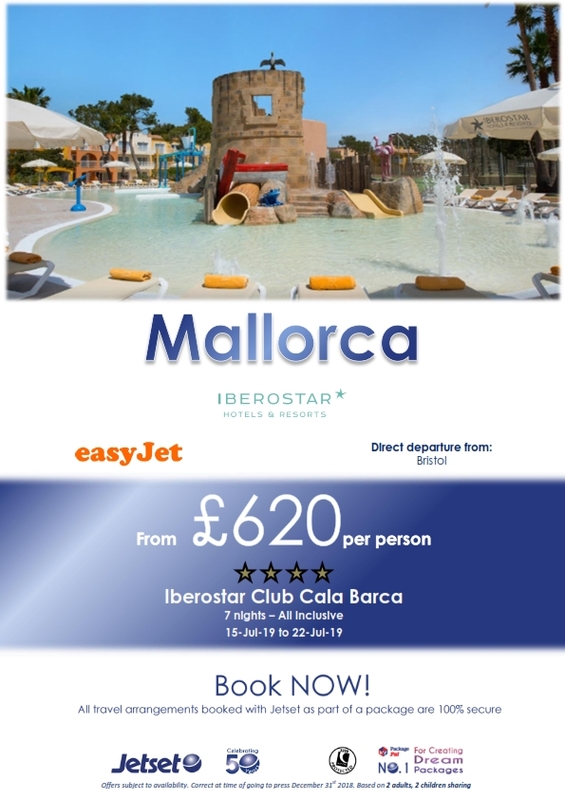 Price based on two people sharing, includes hand luggage & return flights from Stansted (other departure airports are available with a small supplement). Price based on two people sharing, includes hand luggage & return flights from Heathrow (other departure airports are available with a small supplement).